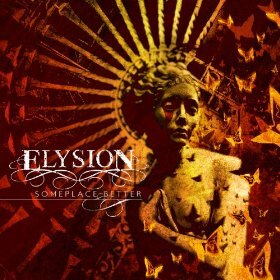 Elysion’s second album, Someplace Better¸ shows the Greek gothic metallers continuing their formula of short, simple, and catchy songs with dark, dreamy moods and electronic influences. It sounds a lot like the band’s 2009 debut CD Silent Scr3am at first, but several listens – or, even better, a shuffle mix of songs from both albums – reveals a slight shift. Nid and Johnny Zero’s guitarwork has grown subtly heavier and more dynamic. And since Christianna had only sung vocals on Silent Scr3am, Someplace Better is the first Elysion release to feature her lyrics and melodies. (Previous frontwoman Maxi Nil had penned the lyrics for Silent Scr3am before leaving Elysion to join Visions Of Atlantis in 2008.) Christianna’s writing style fits Elysion so well, it’s almost impossible to tell someone different is responsible this time. The darkening shades in Elysion’s music can be heard on Someplace Better’s first two tracks, the nu-metal-esque “Made Of Lies” and the anthemic title track. “Our Fate” and “Breakfree” also showcase denser guitars but with faster tempos. Other tracks like “Fairytale,” “What Lies Beneath,” and “Awake” would have suited Silent Scr3am just as well as this new album had Elysion written them earlier in their career. As for ballads, Elysion adds a string quartet to “The Promise” and the acoustic “Transparent,” a lovely touch that works well on both songs. Personally, I prefer Silent Scr3am over Someplace Better. None of the songs on the latter reach the same memorable heights as the former’s strongest moments. That doesn’t undermine the consistency heard from track to track on Someplace Better. This is a solid, satisfying follow-up that Elysion fans will sing along with and headbang to for the rest of the year. Fans of Evanescence, current-day Lacuna Coil, or H.I.M. who haven’t heard of Elysion before should also be pleased with what they find on Someplace Better. Coming Soon: I’ve got a major release (in the world of female-fronted rock and metal) to cover in next week’s Mini-Review Monday: Hydra, the new album by symphonic metal titans Within Temptation. I’m also working on my WANACon February 2014 article, which I hope to have online in the next week or two. Sonic Cathedral’s annual year-end article is now online! My fellow staff writers and I have compiled our lists of our favorite 2013 albums by female-fronted rock and metal bands, as well as our online store’s top-selling albums and our picks for Bands To Watch For in 2014. What always intrigues me about the year-end articles is how similar yet different our staff’s tastes in music can be. Several albums appear on multiple lists; some writers even share #1 picks. Yet, between the 13 writers who contributed this year, a total of 66 different albums are listed in this year’s article. Wow. Coming Soon: We’ll see what happens next. I have a lull in Sonic Cathedral assignments right now, so I’ve been plugging away at the novel-in-progress. I’m also itching to get back to the open mic circuit in my area. Other ideas are percolating as well. So stay tuned! One aspect of being a Sonic Cathedral staff writer that I’ve really enjoyed has been covering bands from my local area. The latest one is Baliset, a progressive rock / metal project from Boston, Massachusetts. Their three-track EP Exordium is their first new release in four years (their debut album, A Time For Rust, was independently released in 2009), and it shows how much Baliset’s sound has evolved since then. With a shift from male vocals to female and a balanced emphasis on melody and variety, Baliset proves that prog rock can be dynamic, compelling, and difficult to categorize without throwing in too much technicality. Click here to read my review of Baliset’s Exordium EP. Interested in checking out Baliset’s music? You can stream Exordium in its entirety and purchase a copy at the band’s BandCamp site. Part of the proceeds from EP sales will go to Manes & Motions, a non-profit therapeutic riding center started by the mother of Baliset guitarist / founder Greg Massi. Coming Soon: Sonic Cathedral’s Best Albums of 2013 article, which includes my list of my top 10 favorite female-fronted rock and metal albums of last year, should be online soon! There are few musicians out there who create music that I’d call a “playground of sound.” Arjen Lucassen is one of those few. He’s the mastermind behind several progressive rock and metal projects, most notably Ayreon. And after a 5-year hiatus from Ayreon to follow other musical pursuits, Lucassen has returned to his signature rock opera with The Theory Of Everything, a story about ambition, greed, finding your life’s purpose, and solving one of physics’ most elusive equations. (And yes, the title is a direct reference to “The Hitchhiker’s Guide to the Galaxy”!) Like past Ayreon albums, Theory stirs prog rock with heavy metal, electronic music, and folk influences; and features a host vocal and musical talent, including Marco Hietala (Nightwish), Cristina Scabbia (Lacuna Coil), Tommy Karevik (Kamelot / Seventh Wonder), and Troy Donockley (Nightwish). So, how is it different from its predecessors – and do those differences affect the listener’s experience with the album? 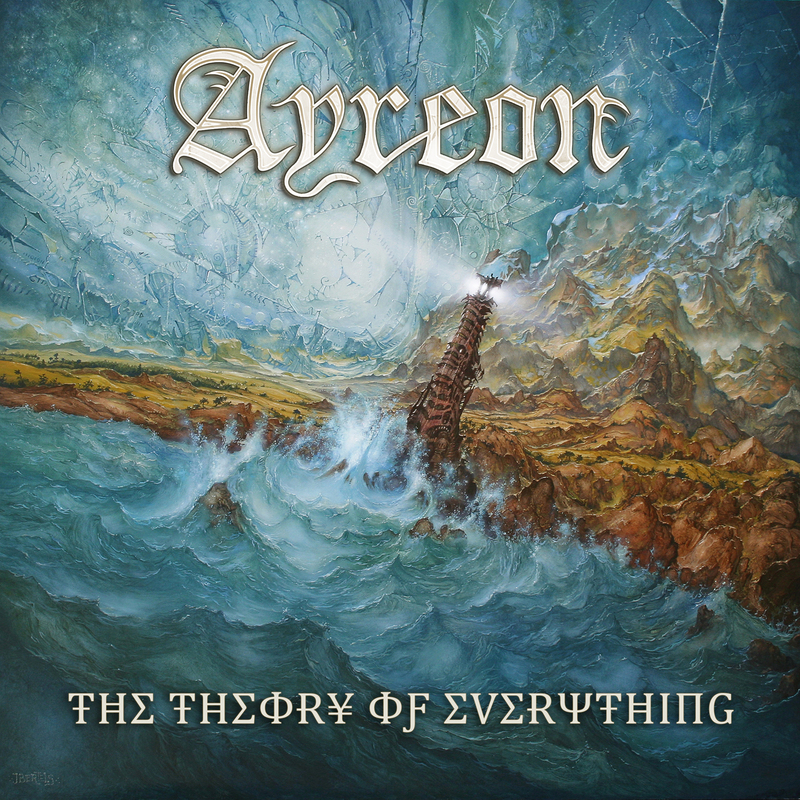 Click here to read my review of Ayreon’s The Theory Of Everything. Below is a video trailer for The Theory Of Everything. It doesn’t feature any vocal snippets, but you’ll get a good feel for the music’s range and power. Have a look and listen! Coming Soon: I may have an Open Mic Announcement in the next couple weeks. Otherwise, things are quiet on the outside right now, but productive behind the scenes. Stay tuned! What happens when several Sonic Cathedral staff writers attend different shows on the same tour? They collaborate on a tour report! Four of my SC colleagues and I share our experiences with Kamelot’s recent headlining tour in North America, featuring support acts Delain and Eklipse. The article covers shows in Baltimore, Maryland; Philadelphia, Pennsylvania; Worcester, Massachusetts; and Anaheim, California. 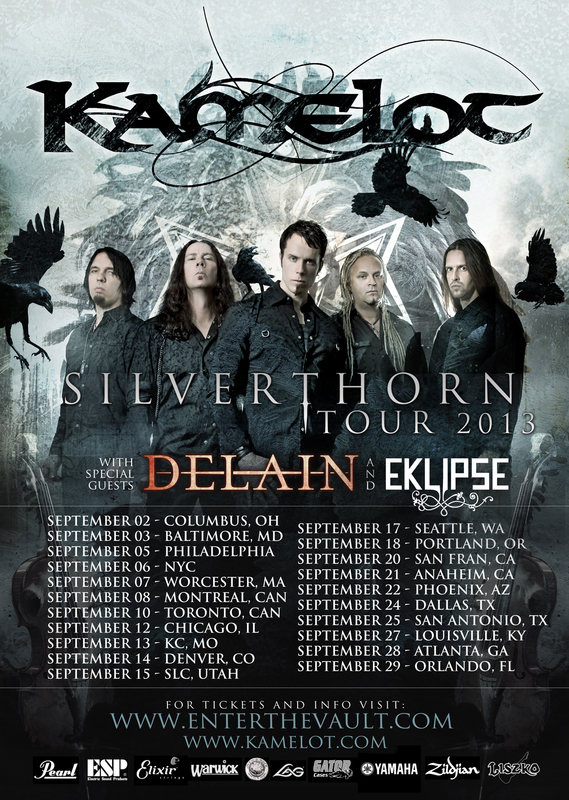 Click here to read our report on the Kamelot / Delain / Eklipse North American tour. 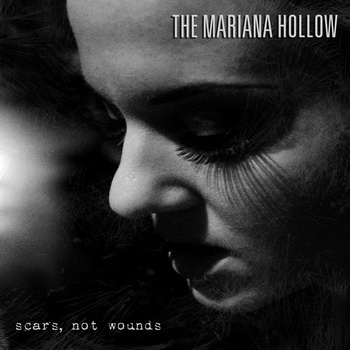 Coming Soon: As previously reported, my review of The Mariana Hollow’s EP Scars, Not Wounds should be online at Sonic Cathedral later this week! Every artist deserves a second chance. That’s what I decided when I volunteered to review Freakshow, the third album by Brazilian duo Hydria. And to keep a long story short, I’m so glad I did. Hydria have left their symphonic metal days behind for a dynamic and crushingly heavy blend of industrial, electro-rock, metal, and pop. Freakshow offers twelve songs with hooks galore, layers of synthesizers and riffs, and thought-provoking glances on cultural and social themes ranging from reality television and show business to relationships and pursuing one’s purpose in life. What’s even better, though, is that Freakshow shows a huge leap of progress for Hydria. Their drastic change in style has brought out a side of their creativity that probably never would have emerged had they stayed with symphonic metal. Click here to read my review of Hydria’s Freakshow. If what you’ve read so far peaks your interest, check out Hydria’s video for “Reality Shows” below. It’s futuristic yet undeniably metal, and Raquel Schüler’s melodies and lyrics are addictive. Plus, I love how this song sinks its teeth into the absurdity of reality television while maintaining a sense of humor. 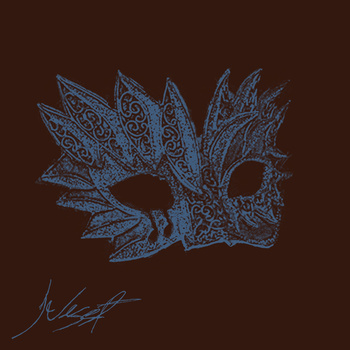 Coming Soon: Most likely the next post will be for another CD review, on The Mariana Hollow’s new EP Scars, Not Wounds. I also hope to make some progress on the novel this coming weekend, both on writing it and on continuing the world-building. Before I fell in love with metal music, I was a pop-rock girl. Part of me still has a soft spot for that genre of music, although I can’t stand most of the cookie-cutter garbage that’s overplayed on the radio these days. However, if one band has the potential to lure me back to the radio just so I could hear their songs, it would be the Jessica Prouty Band. This young quartet from Boston, Massachusetts (three of whom attend the prestigious Berklee College of Music) has cooked up a delicious and energetic blend of Southern rock, blues, pop, metal, and punk. 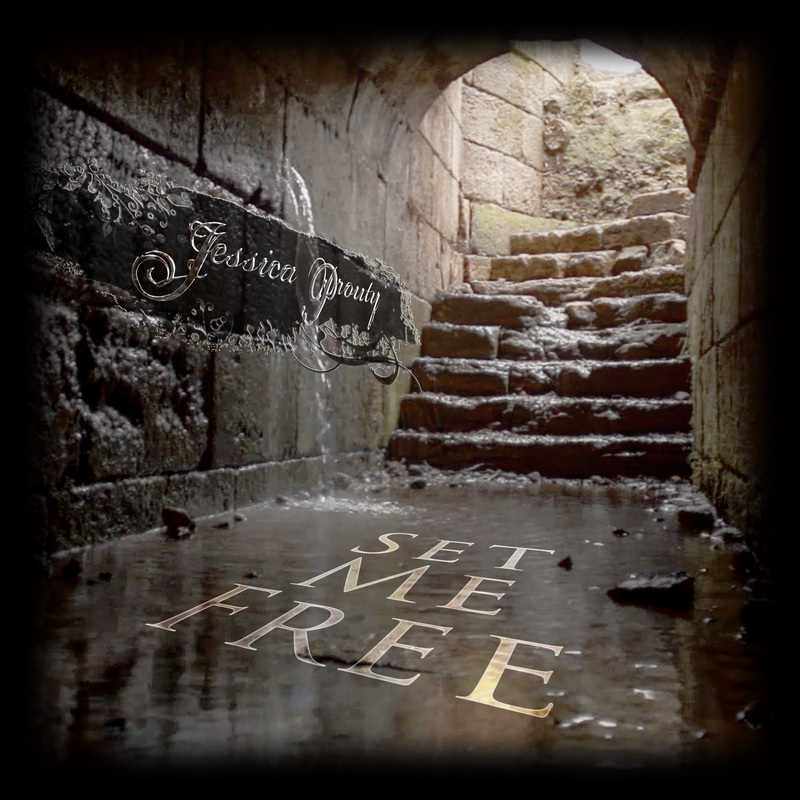 With electric performances by all band members, including frontwoman Jessica Prouty, JPB’s upcoming third album Set Me Free will be a must-have for fans of female-fronted rock music. Click here to read my review of the Jessica Prouty Band’s Set Me Free. Below is a lyric video for the title track to Set Me Free. JPB struck a gold mine by choosing this song as the album’s lead-off single. It’s fun, gritty, and incredibly catchy. Not to mention it comes with one of the best crescendos I’ve heard in a long time! What do you think? Coming Soon: The posting blitz is done for a little while. So it’s a matter of what I finish first: 5,000 more words in my novel-in-progress so I can post the next edition of “Chronicling The Craft”; or my next CD review, which will cover Hydria’s new studio album Freakshow.